In 2017, NoSQL's coming of age will be marked by a shift to workload-focused data strategies, meaning executives will answer questions about their business processes by examining the data workloads, use cases and end results they're looking for. This mindset is in contrast to prior years when many decisions were driven from the bottom up by a technology-first approach, where executives would initiate projects by asking what types of tools best serve their purposes. This shift has been instigated by data technology, such as NoSQL databases, becoming increasingly accessible. In 2017, organizations will stop letting data lakes be their proverbial ball and chain. Centralized data stores still have a place in initiatives of the future: How else can you compare current data with historical data to identify trends and patterns? Yet, relying solely on a centralized data strategy will ensure data weighs you down. Rather than a data lake-focused approach, organizations will begin to shift the bulk of their investments to implementing solutions that enable data to be utilized where it's generated and where business process occur - at the edge. In years to come, this shift will be understood as especially prescient, now that edge analytics and distributed strategies are becoming increasingly important parts of deriving value from data. 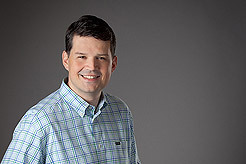 Adam Wray, CEO and President of Basho Technologies, is a cloud enterprise technology entrepreneur and executive with more than 20 years of experience. Most recently, he served as CEO and President of Tier 3 where he led the company through nearly $20 million in venture capital funding, growing it from a startup with a small client portfolio and revenue stream to an eight figure annual run-rate ($10M+). Prior to Tier 3, Wray held operational leadership roles at Amazon, Akamai Technologies and Limelight Networks. He currently sits on the Board of Directors for Basho Technologies and is a non-executive director of Cloudsoft Corporation, 6fusion USA and Observable Networks.